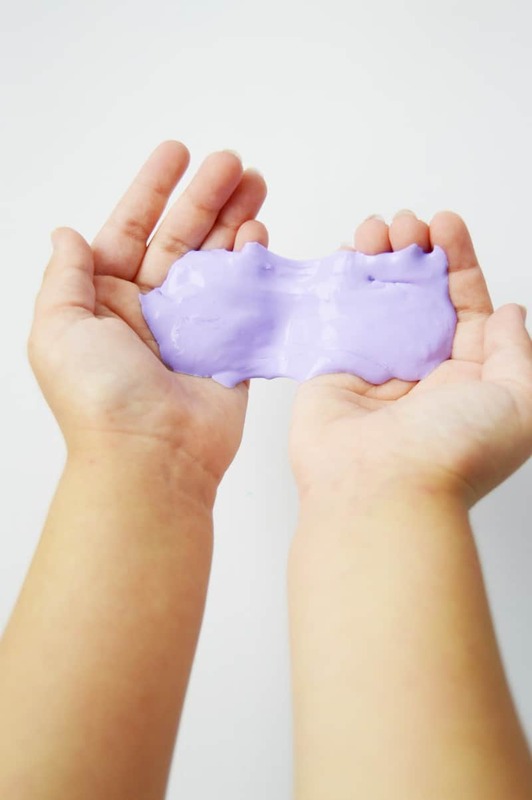 Can you make slime with Mod Podge? Yes you can! 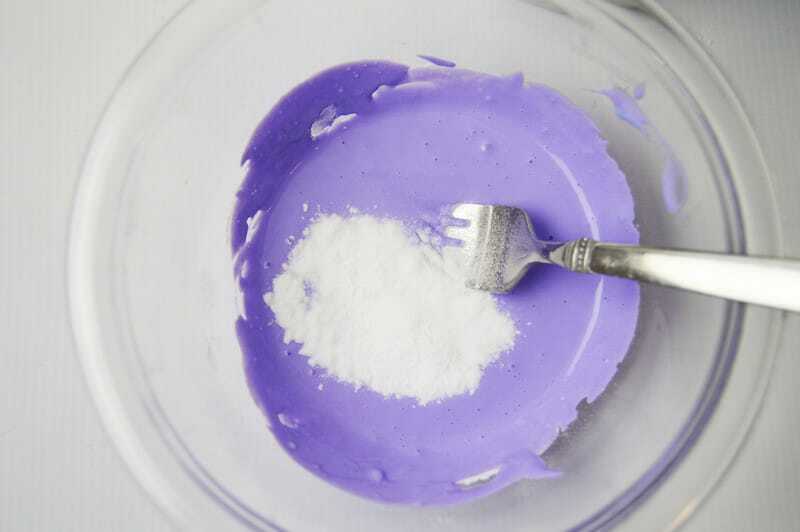 This easy Mod Podge slime recipe without Borax only has four ingredients – you probably already have them on hand. Are you into the slime craze? It seems everyone is! People are buying glue and food coloring by the gallon, amongst other supplies, to make all sorts of fun slime recipes. 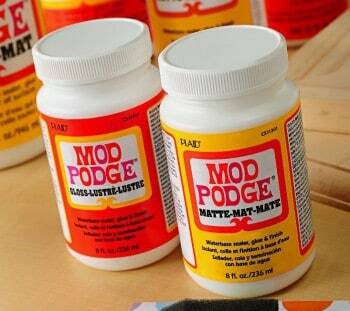 You might be wondering if you can make slime with Mod Podge that you already have on hand. After all, it is a glue (sealer and finish!). The answer is yes you can! 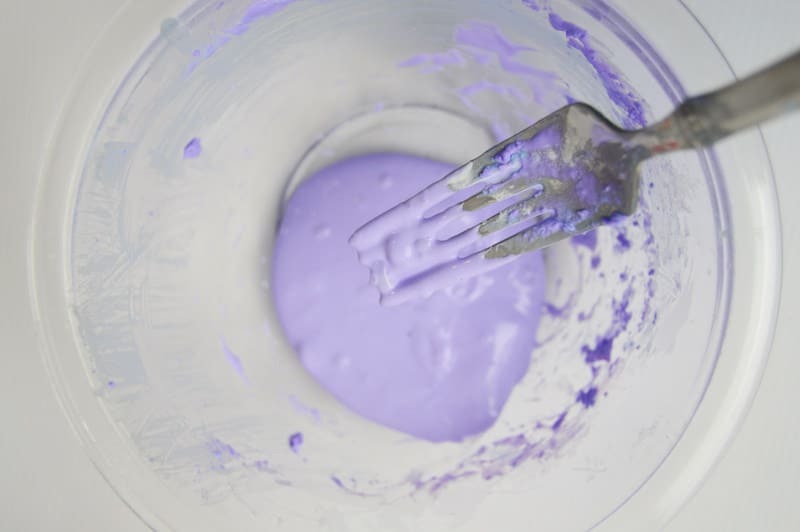 A basic slime recipe uses white glue and liquid starch, which makes a slime that is . . . slime-y. It's more wet, while we like making smooth slime around here. There's another recipe that uses Borax, which some people don't like using because it can irritate the skin. 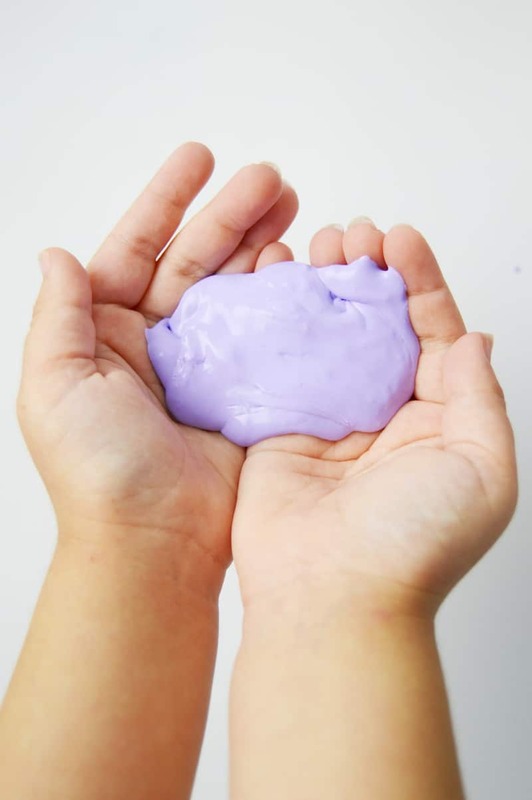 This slime is awesome because it's a slime recipe without Borax and it's not as well. 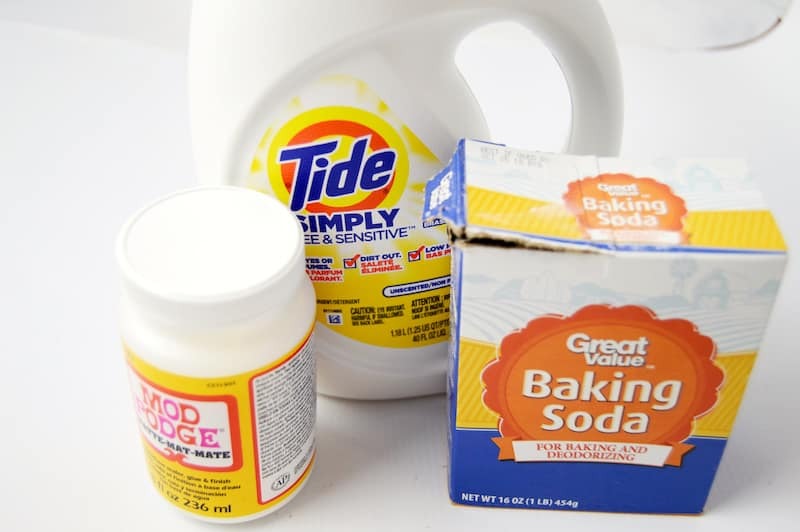 You're going to use four ingredients – glue, baking soda, laundry detergent, and food coloring. The “glue” in this recipe is Mod Podge. 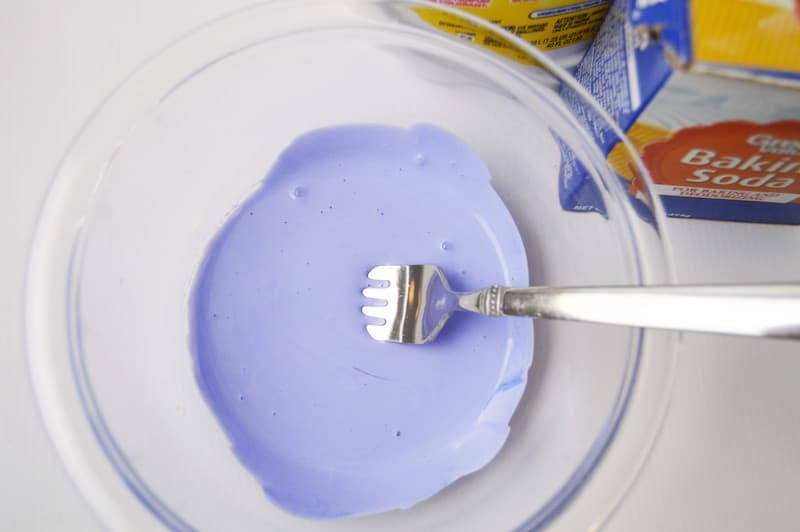 This easy Mod Podge slime recipe only has four ingredients! You don't need any additional glue beyond Mod Podge, and I have the best news for you: you probably already have all of these ingredients on hand. Which means you can open the cupboard and start your Mod Podge slime recipe right now. Here's how it's done! In a large glass bowl, combine the Mod Podge and a few drops of food coloring until there are no longer any white streaks. Add two teaspoons of liquid laundry detergent and mix well. Add the baking soda to the mixture and combine until it’s dissolved. Continue to add the liquid laundry detergent to the mixture, one teaspoon at a time until the slime stops sticking to the side of the bowl and starts sticking to itself. Store your slime in an airtight container to play with again and again. Keep it stored in a cool, dry place for the best results. If you find your slime is too sticky, add a little bit more banking soda and/or laundry detergent. 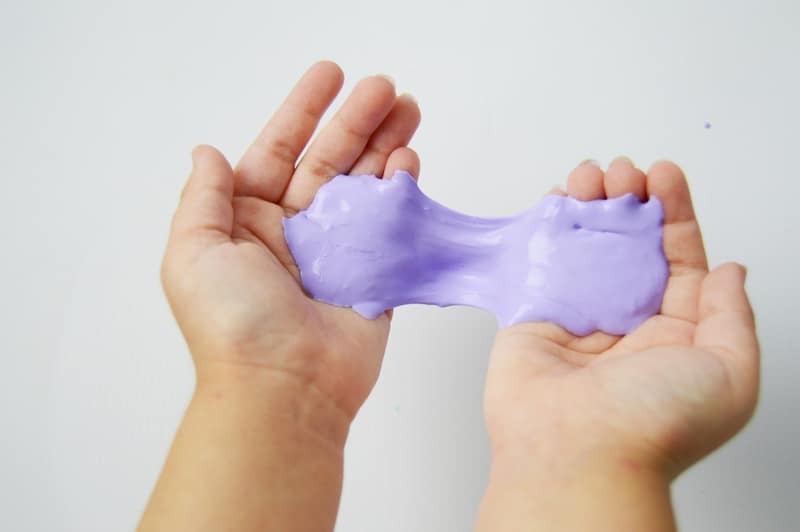 Continue to mix until you get that smooth slime texture you're looking for! If your children are obsessed with slime recipes, this is going to be a fun one for them. I couldn't get enough of this Mod Podge slime. It's so fun, and you can dye it a variety of colors. I think next I'm going to try a few different colors and see what happens! 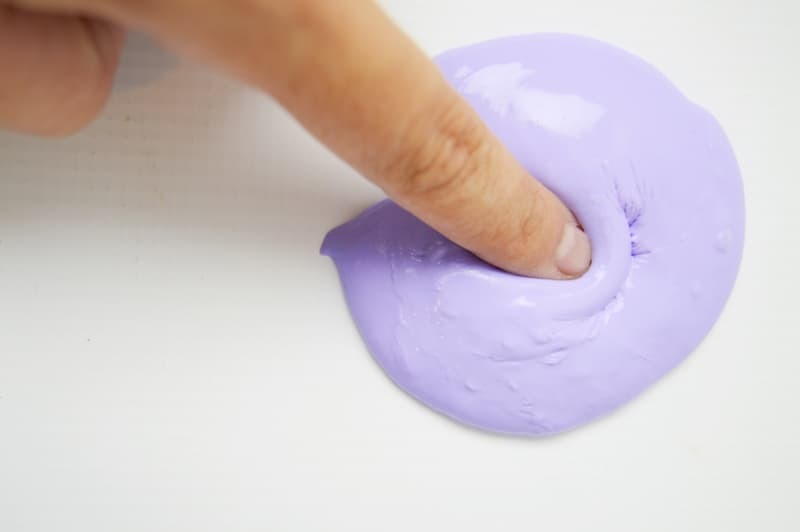 If you want to see a video of this DIY slime without Borax, check it out below. We added glitter and it's just so fun to play with. Click “PLAY” to see it! 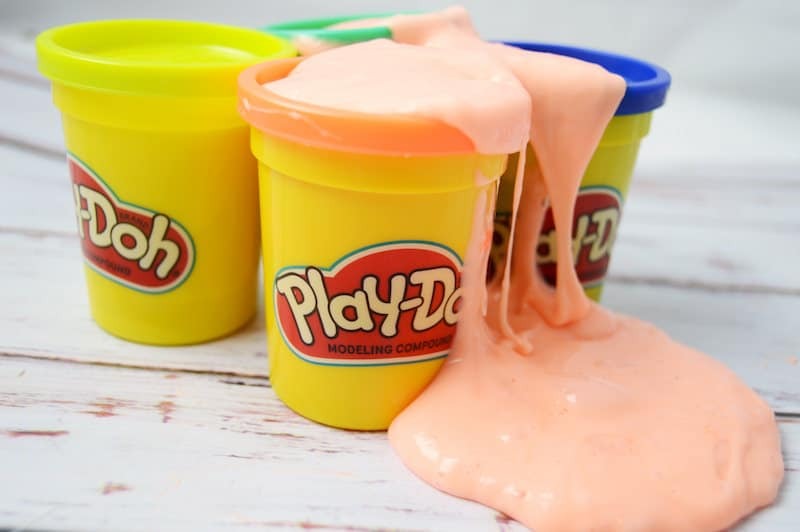 If you're interested in another slime recipe, check out this Play Doh slime over at DIY Candy! How to Make Stickers with Only Two Ingredients! Wow! 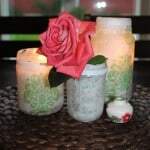 Great recipe you shared about the mod podge slime recipe. Hi Amy! This is awesome. 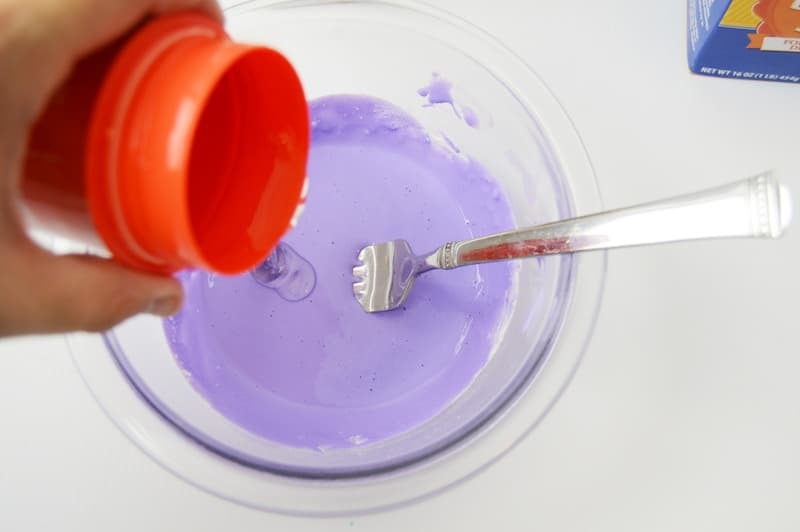 We’ve been looking for a way to make Mod Podge Slime without Borax. We’ll give it a try. Thanks for trying. Does this stuff dry? Could you use it as a building block to add texture to an art journal page and have it dry and stick to the paper/canvas? It will dry eventually if left out long enough. And that is a good question – I’m not sure! It’s something you could experiment with. Maybe make a teeny amount and leave it out on a piece of paper and see what happens?